Our Military Kids – Provides grants to children (3 -18 years old) of deployed National Guard, reserve personnel, and children of all Wounded Warriors. Grants pay for participation in sports, fine arts, and academic tutoring programs. Activities help children cope with stress and anxiety in a positive way while parents recover from severe service-related injuries. Operation Kid Comfort -Â Volunteers at the Armed Services YMCA create custom-made photo transfer quilts and pillows. Each child receives a quilt or pillow; children 7 and under receive a quilt, 8 and older receive a pillow. Operation Kid Comfort quilts and pillows are for the children of our deployed active duty U.S. military service men and women. 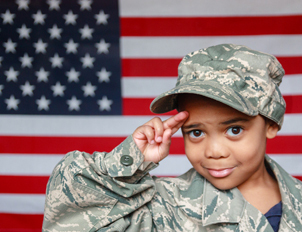 Art and Essay Contest -Â The annual Armed Services YMCA Art & Essay Contest allows children to express their love, appreciation, and admiration for their military heroes. Entries for the art contest depict the theme, My Military Family. Sesame Street Talk, Listen, Connect For Military Families – Through ‘Talk, Listen, Connect,’ Sesame Street delivers a multi-phase outreach initiative to help kids through deployments, combat-related injuries, and the death of a loved one. The program features a series of videos, storybooks, and workbooks created to guide families through these tough transitions by showing how real families – as well as furry monsters – deal with similar circumstances. Camp Corral – a free, one-of-a-kind summer camp for children of wounded, disabled or fallen military service members. For one week, kids experienceÂ amazing adventures through boating, swimming, hiking, archery and doing just about everything you can do enjoying fresh air and nature. 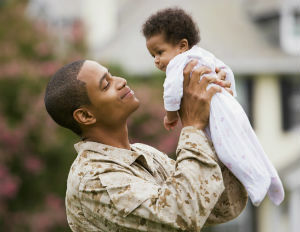 It’s a wonderful opportunity to make friends with other children in the military.